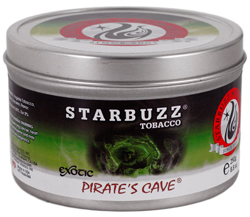 Starbuzz Pirate’s Cave | HookahRev.com | Hookah, Simplified. Nice introduction of lime into Starbuzz. Citrus blend of fruits. Very enjoyable and a great mixer.